Happy Saturday, everyone! We had a glorious day of sunshine and soccer….and in the midst of shuffling and basking, I found some time to putter, so I thought I’d share. 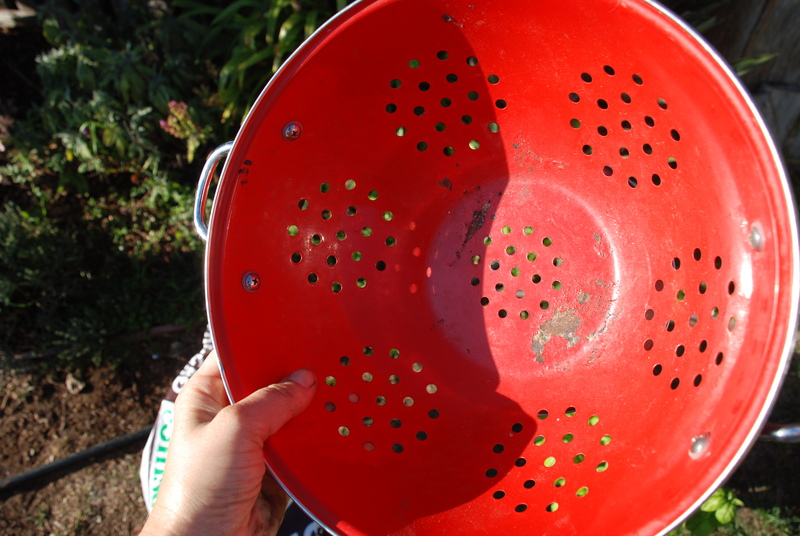 I found this awesome retro red strainer at the Goodwill Outlet a while ago and just had to grab it…who could resist this color?? It was pretty rusted out on the bottom, so I headed to the garden with it. 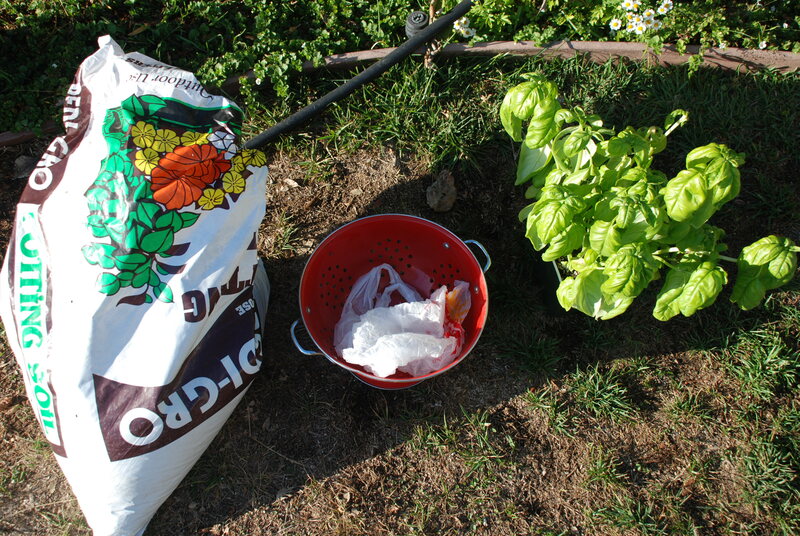 So, I gathered my supplies and attacked it with my old plastic shopping bag trick (to keep the water inside with the soil and not flowing out of my cute strainer holes). I decided that I would keep in the theme and go for a kitchen plant. 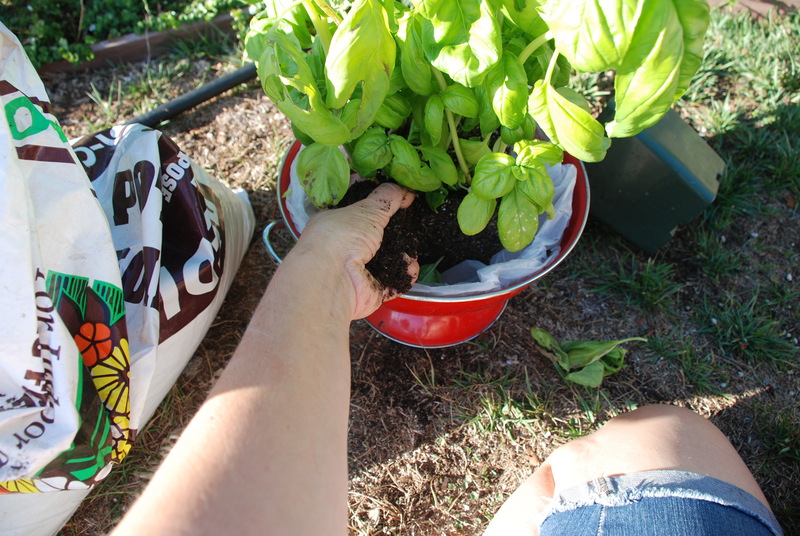 This happy basil plant was muy perfecto! 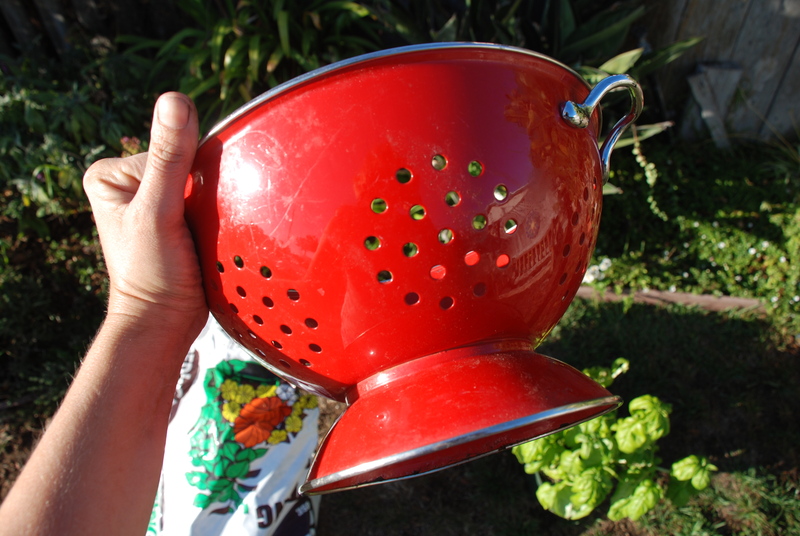 I mean, doesn’t this red strainer scream spaghetti and meatballs?? First step was to tuck in my plastic bag. 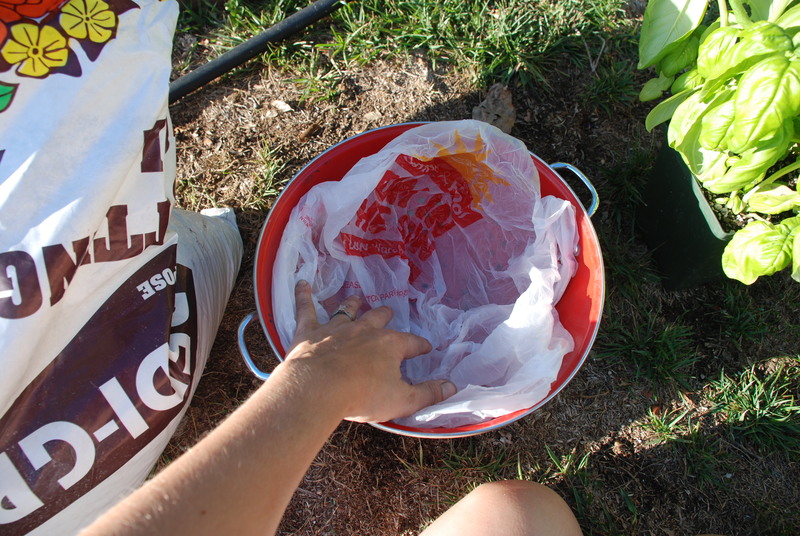 Whoops…looks like my bag is showing…gotta run to the store tomorrow for a tad more soil. 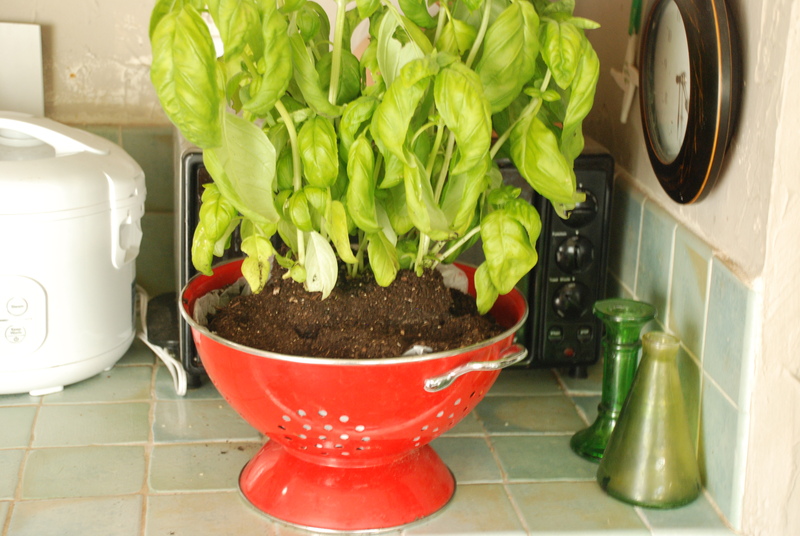 Regardless, my strainer is a super cute planter destined for my outdoor table (gotta get some sunshine for this happy basil plant). I love unusual planters! I’d love to see some of your ideas, too! Oh, and have fun Zesting in the garden this weekend! Find & Fix it Friday: Soup Cans for the Teach!